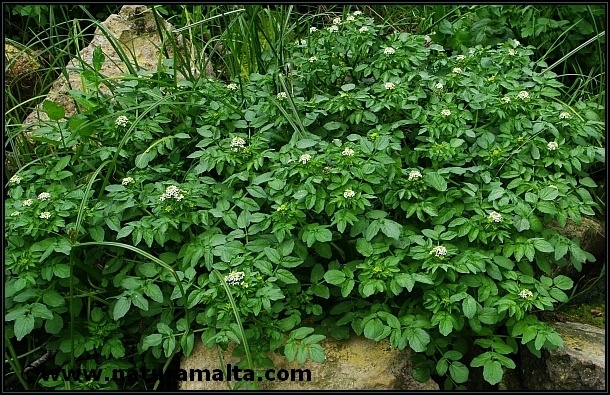 The Water Cress (Nasturtium officinale) is an aquatic plant limited to areas with watercourses. 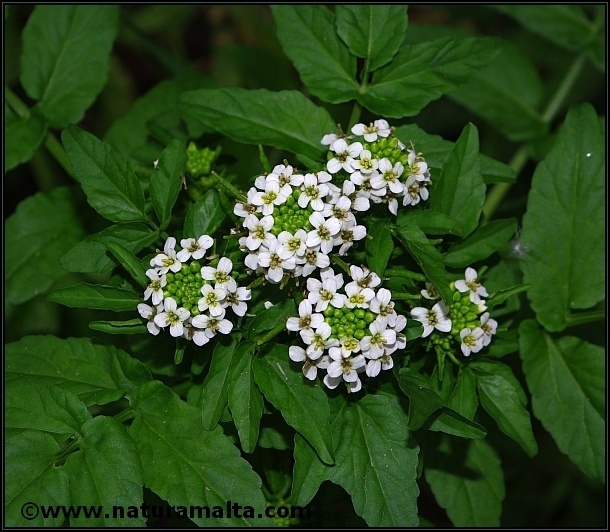 It is found most commonly in Qlejgha valley where it can grow to about 30cm (in height) in this area. 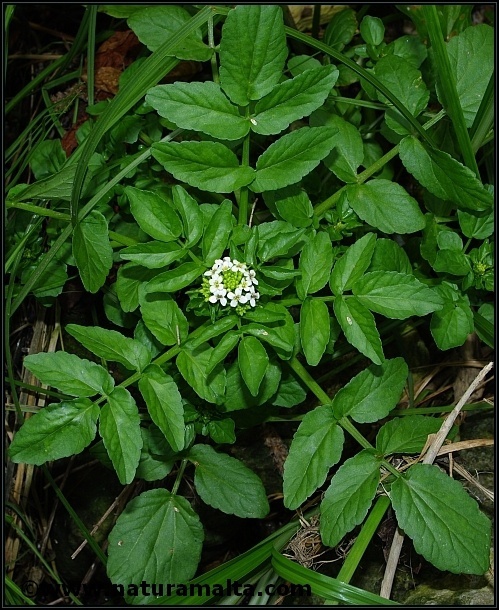 It is a fast growing plant with leaves that are green, pinnately divided and abundant. 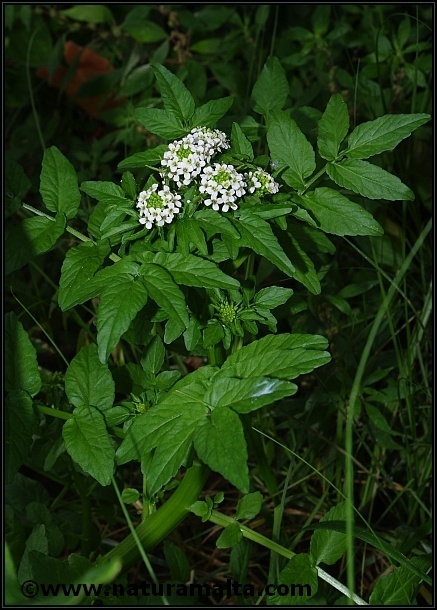 The flowers are small, white with 4 petals.